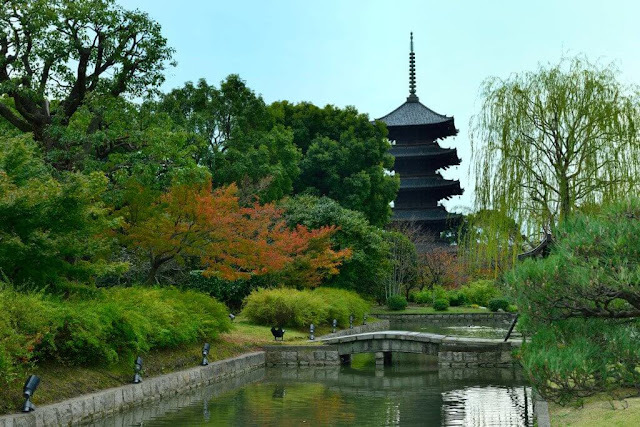 Kyoto is an indispensable destination when traveling to Japan, especially suitable for those who want to explore the rich and subtle cultural heritage of cherry blossom country. Shopping at the oldest outdoor market in Japan inside Dong Tu Temple: Dong Tu Temple is located just south of Kyoto Station, established in 796, the gateway to the ancient capital of Japan. The site is also one of the 17 UNESCO World Heritage sites in Kyoto, and houses the tallest 5-storey Japanese temple at 57 m.
Today, the Dong Tu Temple is most famous for the oldest outdoor market in the country, held on the 21st from early morning to late afternoon. Guests will find everything in this busy and hectic market. Find the monsters on Yokai Road: Yokai is an old shopping street. 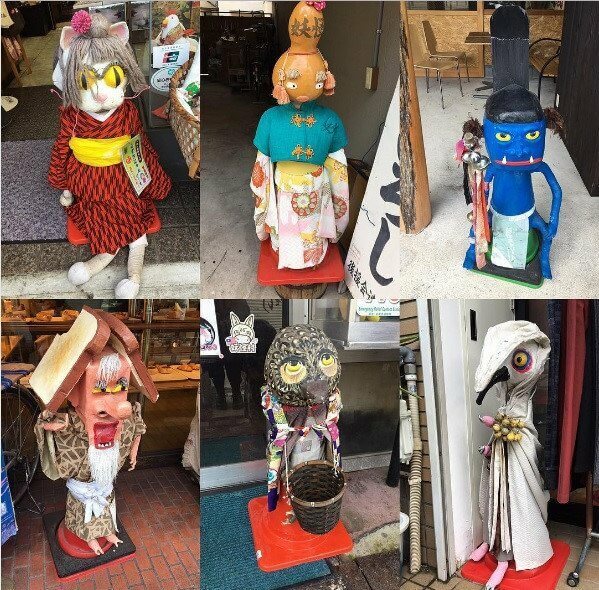 Owners of shops and restaurants here create yokai - supernatural monsters that appear in Japanese fairy tales - to protect in front of the store. Some yokai are carefully sculpted, some made from recycled materials and rags, but they all have their own souls. About 30 yokai hides on the street, challenging travelers to find it all. Legend has it that this northwestern part of Kyoto is at the boundary between real life and the spiritual world. A ghost parade and bazaar are held each summer. 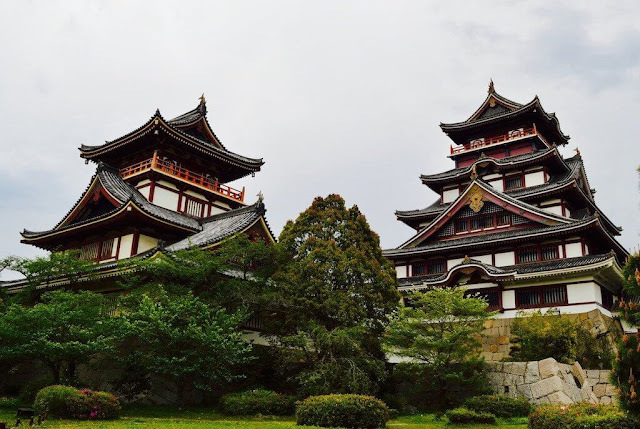 See bloody history at Fushimi Momoyama Castle: Fushimi Momoyama Castle mobilized 20,000 to 30,000 construction workers by the end of the 16th century, but only two years later the earthquake destroyed. The modern version is now located in an upscale south of Kyoto, rebuilt by the samurai Torii Mototada. In 1600 he defended the castle to the last breath of an 11-day bloody siege. Enjoy sake in Fushimi district: Fushimi Prefecture is located in southern Kyoto, best known for its Fushimi Inari temple and a series of red gates. The area also contains abundant underground water, rich in potassium and calcium, suitable for making sake. By the 1600s, more than 80 breweries operated in the area. 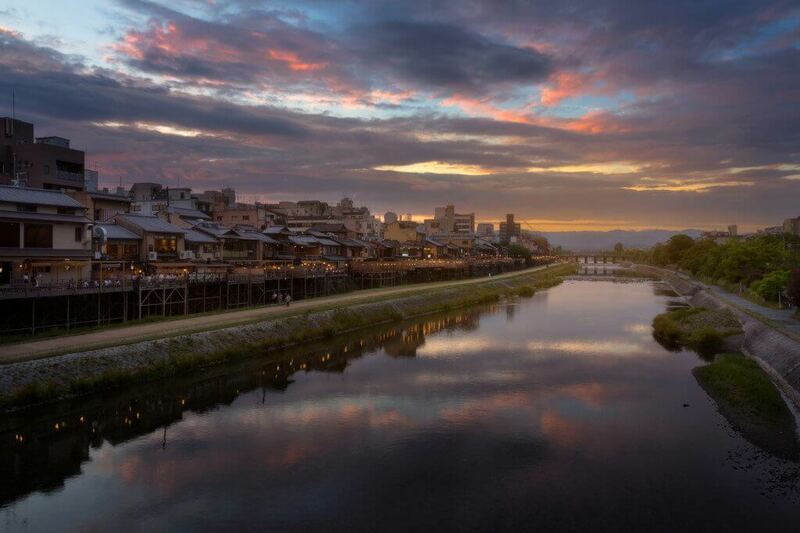 Tourists should take a boat ride down the river through the small town to visit the old factory and the Gekkeikan Okura Sake Museum. Drinking beer with a geisha at Kamishichiken Beer Garden: With many tourists coming to Japan, participating in the geisha-specific world is quite difficult. Usually, you need someone to invite or follow the tour. 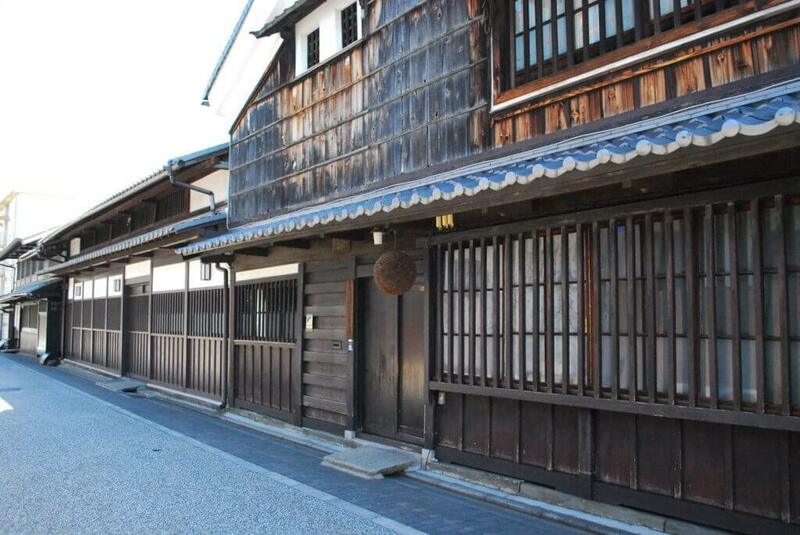 Kamishichiken District is one of 5 neighborhoods the geisha live and work. They host a special beer garden in the Kaburenjo Theater from July to September each year. 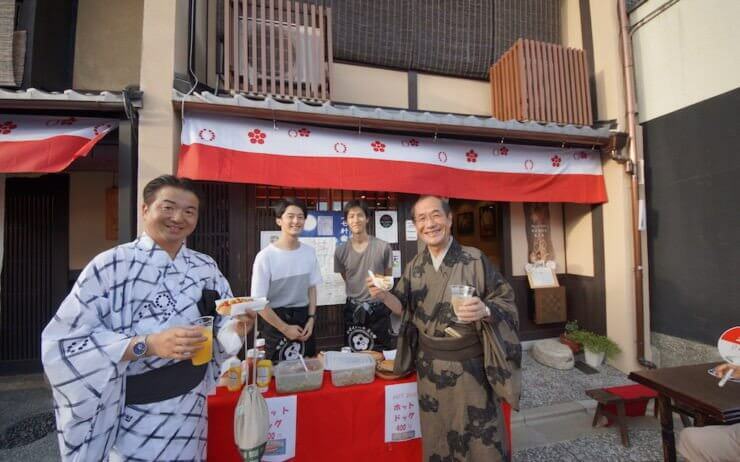 With just 2,000 yen (about 400,000 VND), you will be served by the geisha beer, chat, treated as paying customers. Stroll along the Kamogawa River: The peaceful Kamogawa Riverbank in Kyoto is frequented by tourists and locals alike, and is also home to animal shelters. The river stretches east of the city. . 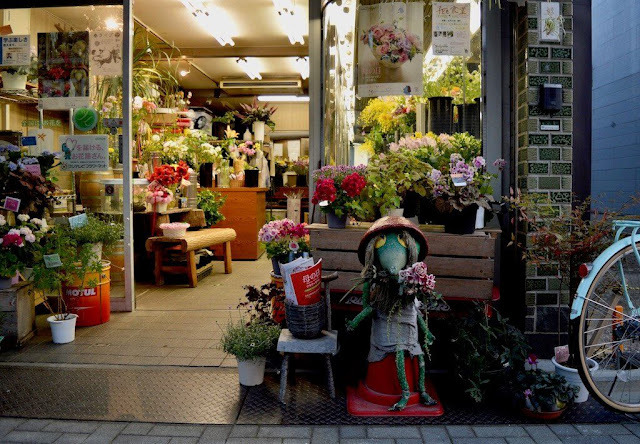 But just a little further south, visitors will discover a quieter area where flowers and weeds cover the wide aisles, with many wildlife species. 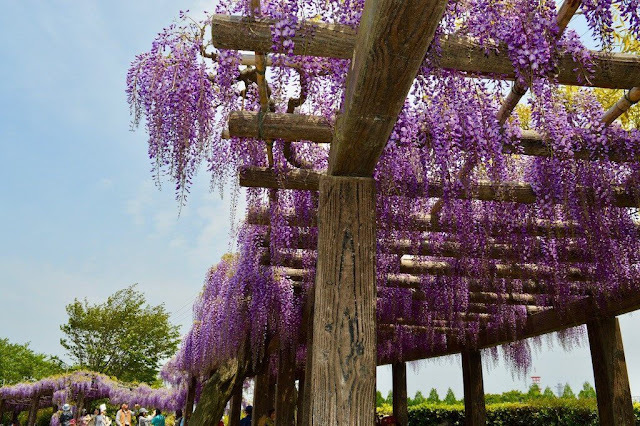 Enjoy Chinese wisteria flower (Fuji flower) at Kamitoba: The flowers marking the transition from spring to summer, often appears on dome-shaped tunnels in temples, shrines, parks and Gardens throughout Japan. One of the most impressive sight-seeing spots is the Kamitoba Sewage Treatment Plant south of Kyoto. Here you will be able to admire the bouquets of purple flowers in a cozy atmosphere, immerse yourself in classical music, enjoy iced coffee and sake wine. Touching the cows at Kitano Tenmangu Temple: Built in 947, the north-western Kyoto shrine is one of the city's most intricate buildings, but is often overlooked by the nearby Temple of the Golden Mount. Temples are guardian spirits and calligraphy protections, popular with Japanese students who come to pray for successful education. Two bulls at the entrance to the shrine have shiny heads and backs because those who hope to pass the exam rub into it. This is also the most beautiful place to see plum blossom and participate in the dream festival from February 25 to the end of March. 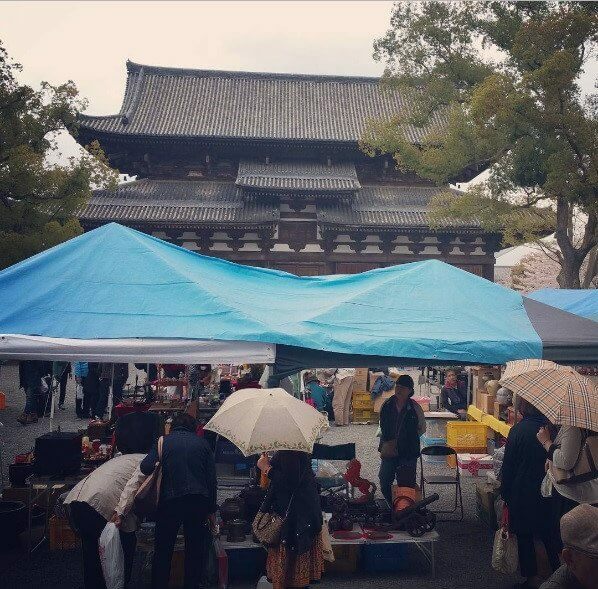 On the 25th, the famous Tenjin-san outdoor market is held outside the temple from 6 -21h. 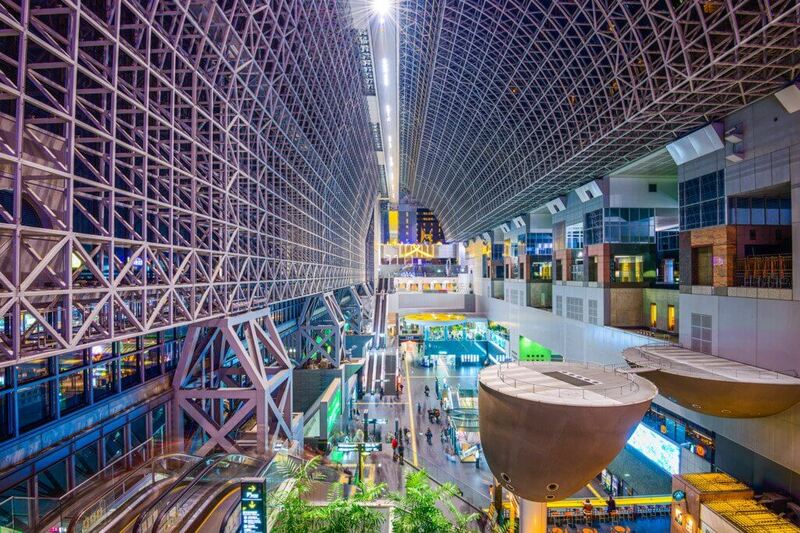 See Kyoto Station: Many visitors go through Kyoto Station - the busiest intersection in the area - on the way to or from the city, but only a few stop to admire the unique design of the building. If you come here, linger for a minute to look up, then move up to the top to get a panoramic view of the city from the Sky Garden terrace. Make friends with locals at Mosaic Guesthouse: Mosaic Guesthouse is clean, well-equipped, friendly staff, and has 2 addresses in Kyoto. The rooms are designed in Japanese aesthetics, have a common welcome area for guests to meet, a stylish bar for local drinks to late. 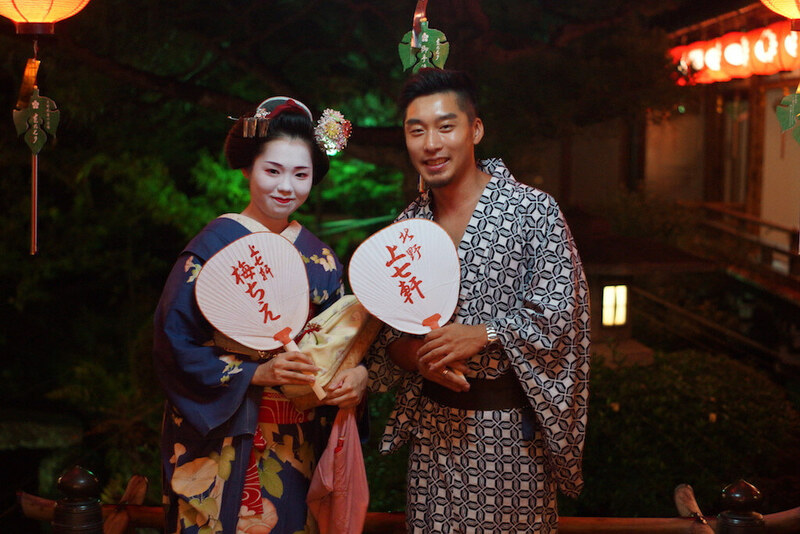 In particular, the hostel organizes regular events for guests and locals, providing opportunities to make friends and learn about Kyoto.